" What is Karotte? " 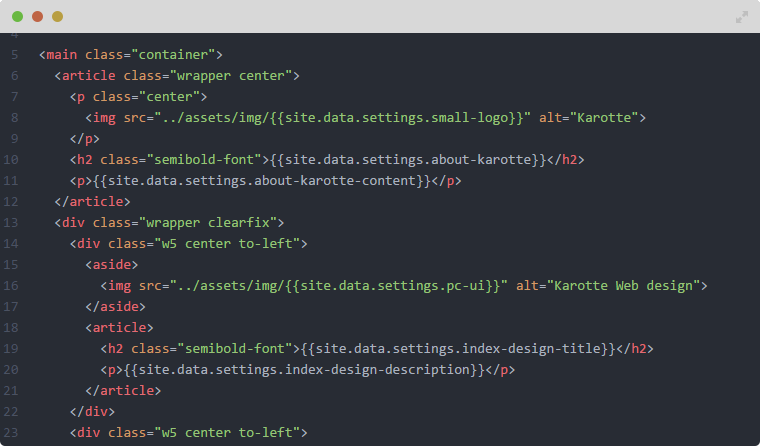 Karotte is a team of experienced developers that operates from Tallinn and Tartu, Estonia. Currently, we provide services in design and development of web applications. Members of our team have been taking part in different projects initiated by private companies and government institutions, as a result of which making a significant contribution to creating projects rangingfrom simple websites to complicated information systems. Among our current clients are small business firms and contractors working for large companies. We are ready and willing to share our experience and ideas in order to help you to create a state-of-the-art solutions that you want and need.